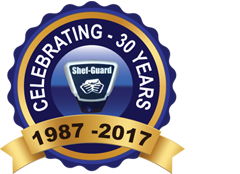 Shef-Guard have been installing electronic security equipment for 25 years. we pride ourselves in neat and tidy installations with the minimum possible disruption. All equipment is covered by a full 12 month guarantee giving access to our 24 hour call-out service. After the initial guarantee we offer a wide range of maintenance services to suit all requirements. Shef-Guard guarantee all systems for 12 months following installation. In accordance with current standards, a maintenance agreement is then offered, which gives access to our 24 hour call out service. We will also adopt and maintain systems not installed by ourselves. It is a requirement of both the Police and the Insurance Companies that Security Systems be checked at least once per year and that they are covered by a current maintenance agreement.